Background: Chinese hamster ovary (CHO) cells are extremely important host cells for recombinant DNA technology with their utility requiring optimization of growth. 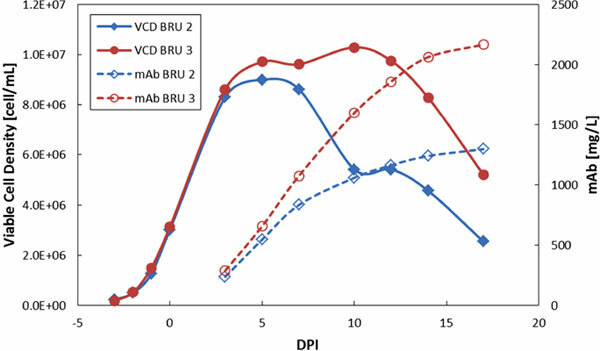 The ability to test conditions using in silico models of growing CHO cells can help advance the optimization of bioreactor conditions towards higher viable cell concentration and increased mAb production. Methods: A new kinetic model of CHO cell metabolism is presented, tested and provided in this publication. RNASeq data from CHO cells was used to guide the selection of major metabolic pathways that were included in the kinetic model. The kinetic model includes 37 completely described reactions processing 45 species (metabolites). This model is based on previously published kinetic characteristics for this system and was evaluated against metabolomics data for mAb producing CHO cells grown under two different feeding regimes. Results and Conclusion: This work provides a kinetic model for energy metabolism of CHO cells. Application of the model offers insights into possible causes of the different performance of two feeding strategies, thus suggesting possible problems and future optimization routes. Metabolomics, metabolic modelling, kinetic modelling, CHO, bioreactor, mAb production.